Today was sunny and warm, full of butterflies and bees. 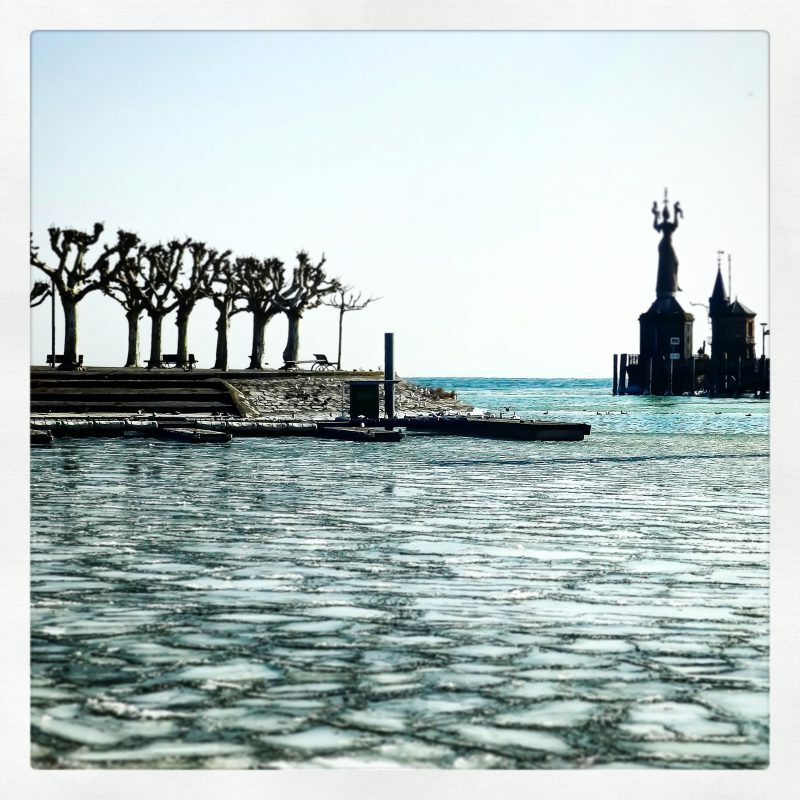 Hard to imagine that one year ago, it was so cold that there was ice floating in the port of Konstanz (which rarely ever happens). At that time, I was musing about Katya, who knows to read the ice, and her brother Grischa, who has a special sense for wind and weather, both setting out from nineteenth-century Russia to make their fortune in the world. 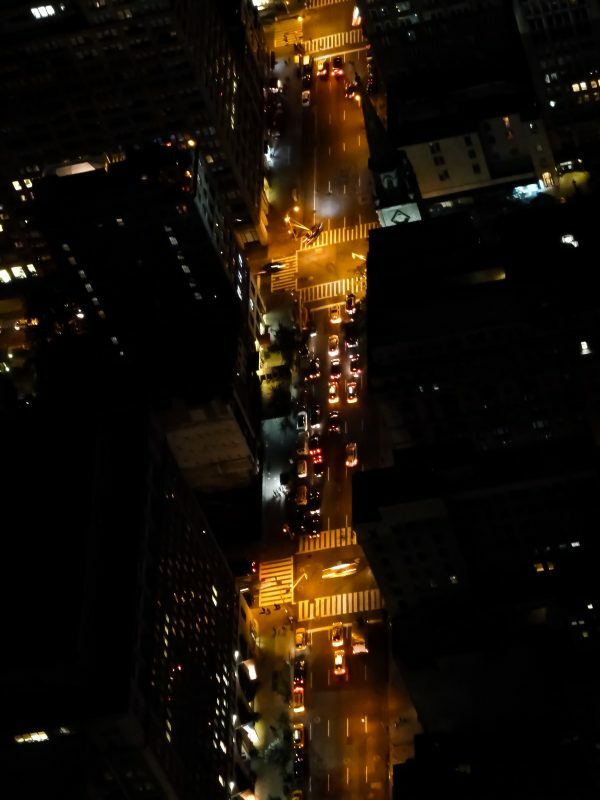 One year later, while spring is settling in, a bit more each day, the outline I wrote in those freezing days is about to become the first volume of their saga. 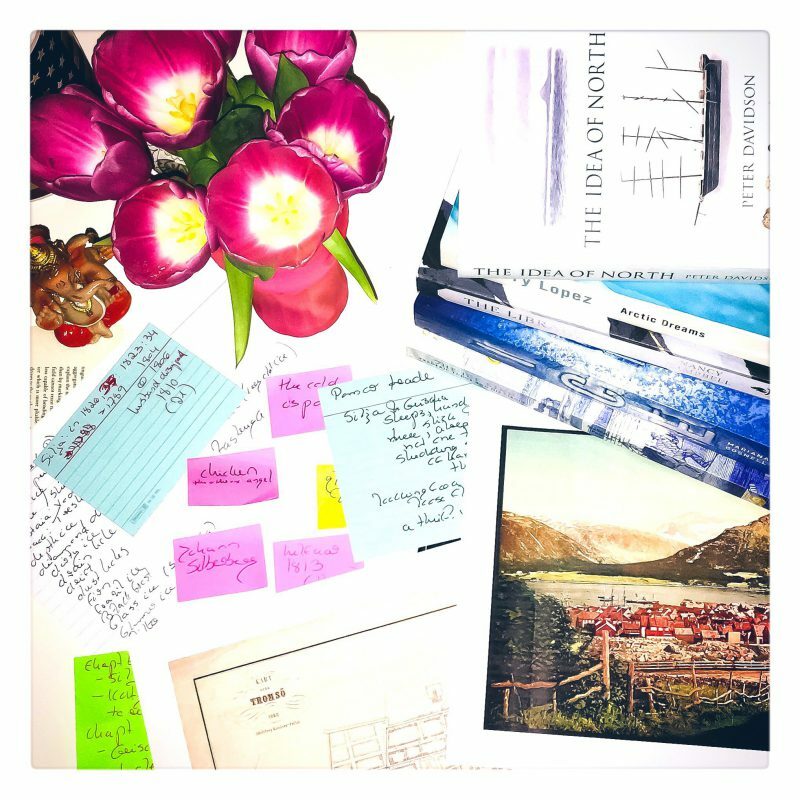 Sunday with Katya and Grischa on their respective ways through the northern seas. Among other places, in Tromsø, in those days a little backwater of a port. 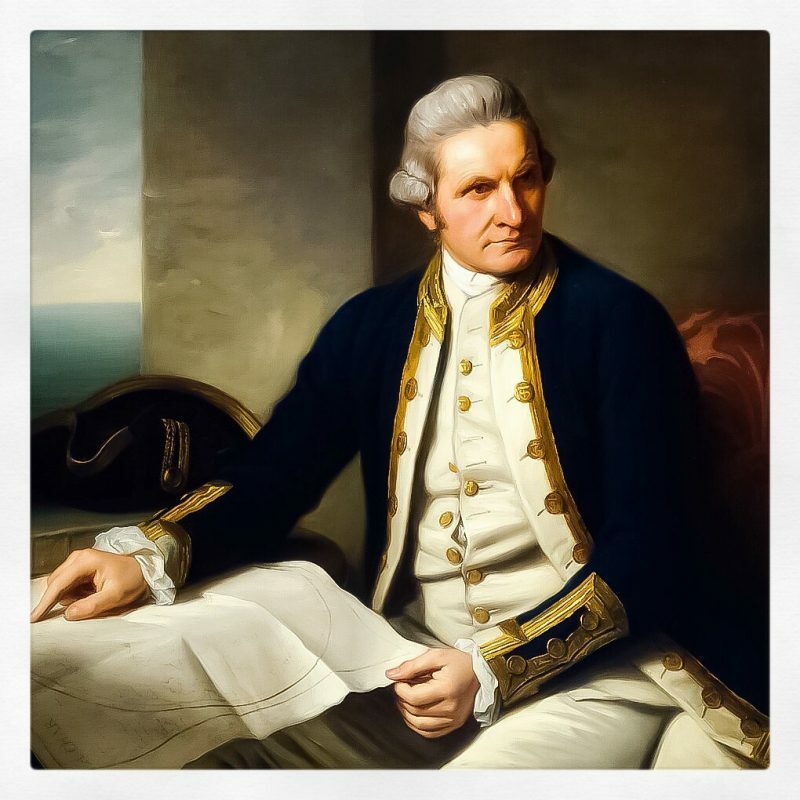 250 years ago today, James Cook embarked on his first circumnavigation aboard the Endeavour. A voyage of exploration in search of botanical, astronomical, medical and last but not least geographical knowledge that made history and changed the world. 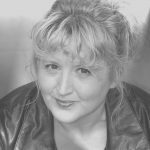 An adventure that had already fascinated me since I was a teenager when, at 23, I started working on the manuscript that eventually became my debut novel some years later. All this time, I dreamt of visiting the spot in Hawaii where Captain Cook met his violent death in 1779. 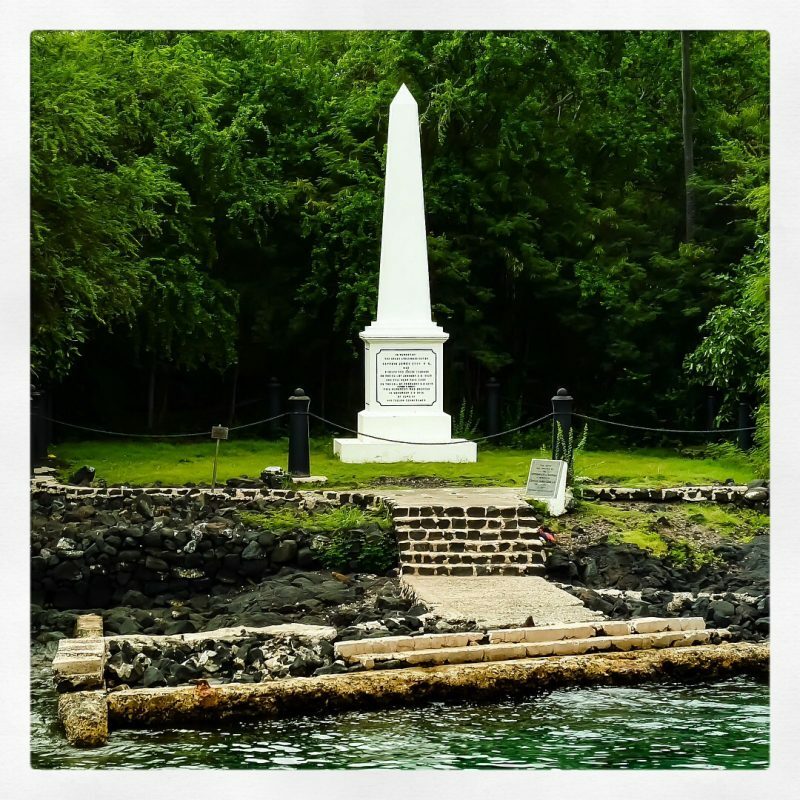 A dream that came true four years ago in Kealakekua Bay, when I swam over to the monument erected in his memory. 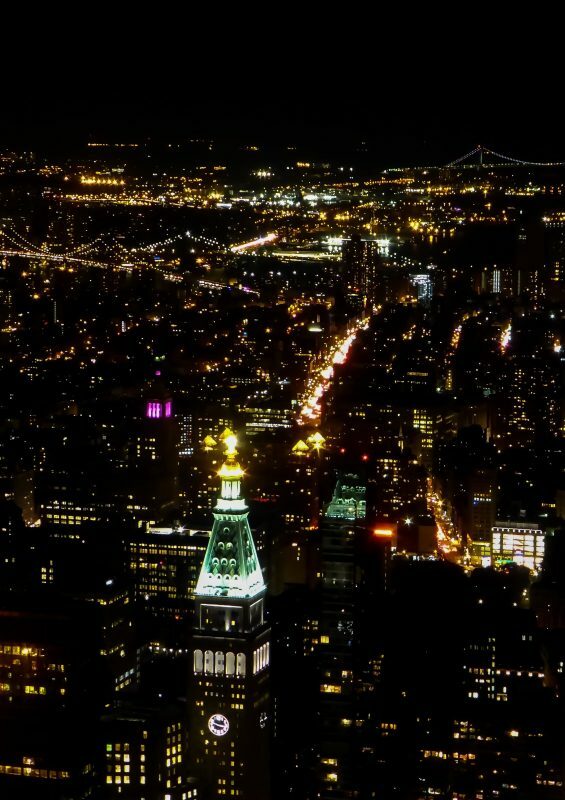 Mentally here: Empire State Building by night. 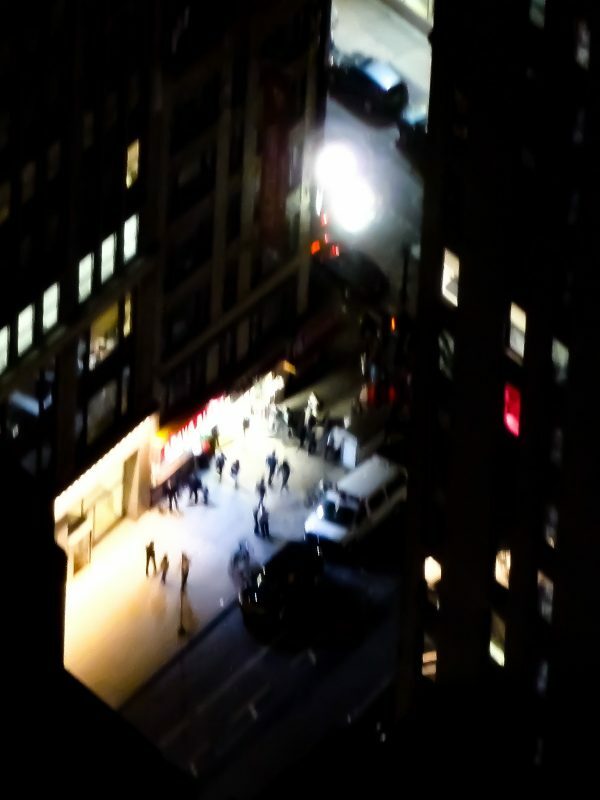 With Jack and Ivy, in my favorite scene of the new novel (so far). It´s always a joy to receive foreign editions of my novels. 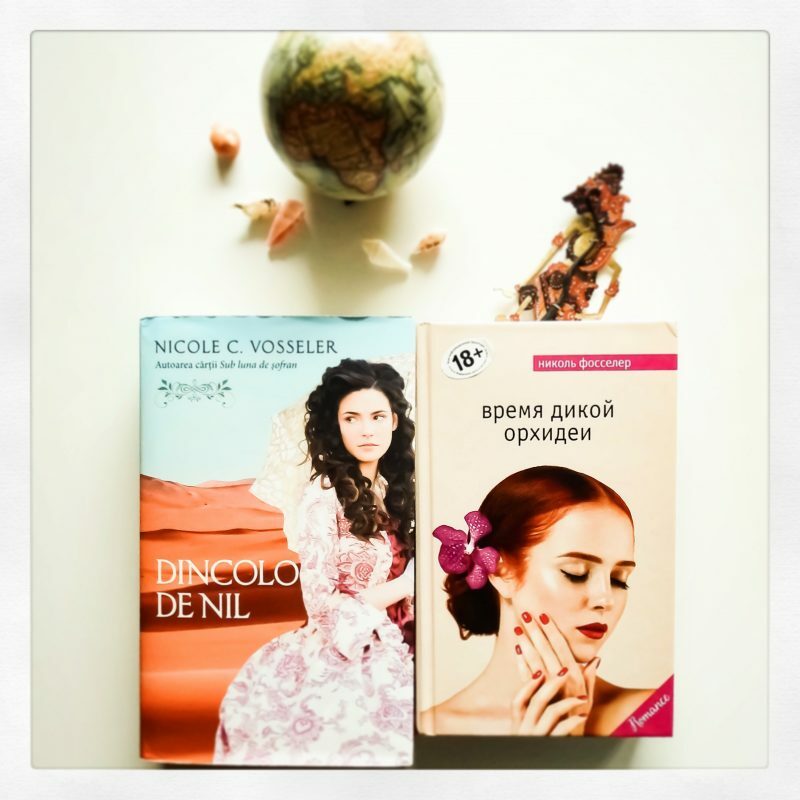 Especially when there are two arriving in the same week: «Beyond the Nile» in Romanian and «Time of the Wild Orchids» in Russian. I was born on the Feast of Saint Valentine, patron saint of lovers, affianced couples and of happy marriages. I would laugh about it, if it was not so bitter. Valentine of Terni died a martyr’s death that day, because he defied the orders of Emperor Claudius by marrying lovers in the name of the Lord, presenting them with flowers from his own garden. I should have known that in the end, cruelty always triumphs over any romantic sentiment. 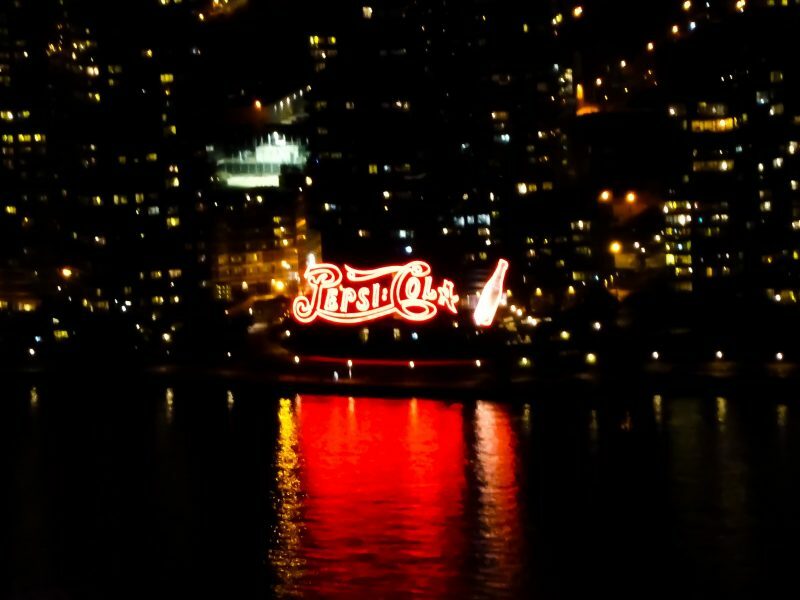 Love is nothing but a fairytale that never comes true. 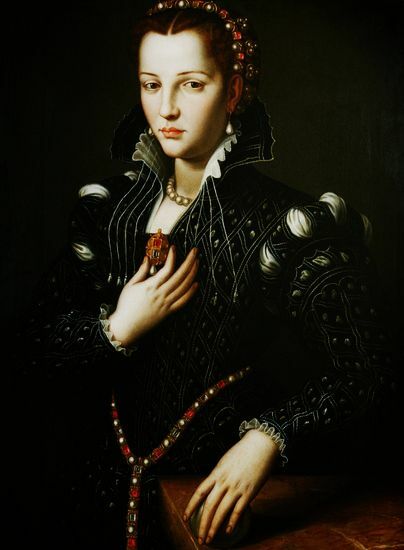 Born 473 years ago today: Lucrezia de’ Medici, often called Lucrezia di Cosimo de’ Medici, to distinguish her from her great-grandmother Lucrezia di Lorenzo de’ Medici. Always in the shadows of her glorious parents, her handsome, gifted and confident siblings, Lucrezia was shy and oversensitive. After the death of her older sister Maria, betrothed to Alfonso d’Este, soon to be Duke of Ferrara, it was Lucrezia who became Duchess of Ferrara instead, suffering from Alfonso’s indifference towards her. Her unhappy life ended at sixteen, when she succumbed to a mysterious illness, giving rise to the rumor that she had been poisoned to enable a remarriage of Alfonso who was in desperate need of a legitimate heir for his dukedom. A legend immortalized by Robert Browning in his poem «My Last Duchess» – and the background story of my contemporary novel «The Colors of Memory». She is the centerpiece of The Colors of Memory: the lady in green. The Renaissance portrait in the Städel Museum of Frankfurt is the starting point of Gemma’s search for clues. The common thread that runs through the whole storyline, linking the different periods of time: Lucrezia at the court of Ferrara. 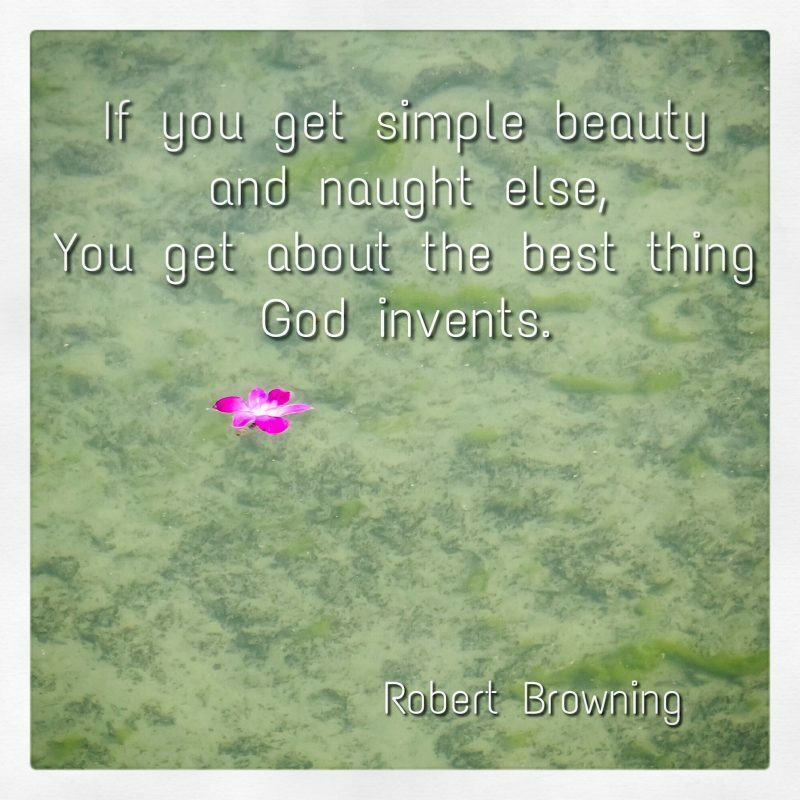 Victorian literary couple Elizabeth Barrett and Robert Browning. Sylvia and Clifford in the 1980s and Gemma and Sisley today, in 2017. Unlike the other lady in (olive) green, the Mona Lisa, our lady in green is not world famous. No icon, frequently copied and adapted. Not the most thoroughly examined and most described work of art, with thousands of visitors queueing up in front of her every day. It is her enigmatic smile that casts a spell, we are told. The masterful hand of da Vinci and last but not least the question who the portrayed woman was. This is a question the Mona Lisa shares with our lady in green. Who was she? A noble Venetian woman? Giulia Gonzaga, the mistress of Cardinal Ippolito de’Medici? A lady from Siena, a member of the Spannocchi family? A woman called Maddalena, maybe, as the image on the cameo necklace can be interpreted as a miniature portrait of Maria Magdalena? We don’t know. And neither do we know who painted this portrait. The fashion depicted in the painting, its technique, composition and details have been categorized partly as Flemish, partly as Italian school. And for every possible identification of the model, there has been at least one painter it was attributed to. It is like the analogy of the hen and the egg: if we knew who the painter was, we might identifiy the model – and vice versa. 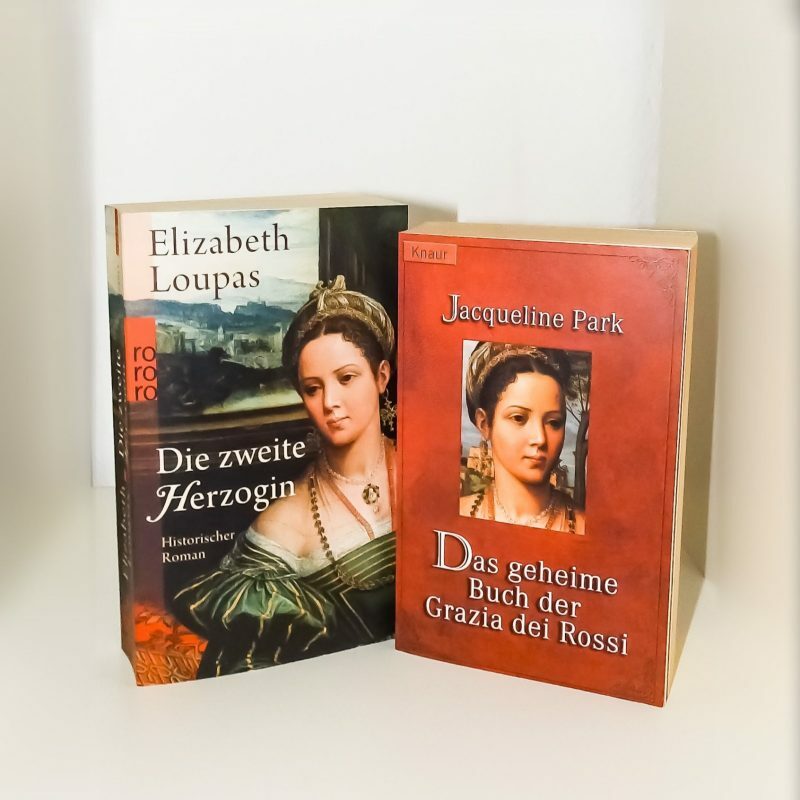 Our lady in green is not fully unknown, though: among my books at home, there are two historical novels for whose covers the portrait has been adapted. Maybe these images were anchored in my subconsciousness when I came across the lady in green during my very first visit of the Städel Museum. In any case, I was irresistibly drawn to the rich palette of greens. To the constantly changing expression on her face. To the composition of the painting and its details, posing something of a mystery to me. I sensed a story I would like to tell. One art historian claimed the lady in green to be Renée de France, the mother of Alfonso II. d’ Este, Duke of Ferrara – but I couldn’t find any resemblance between her historically documented portraits and the lady in green. However, there was some likeness between her and Eleonora de Toledo as well as her daughter Lucrezia, the first wife of Alfonso, whose short life was overshadowed by her early death – and by the legend of having been poisoned by her husband, immortalized by Robert Browning in My Last Duchess. 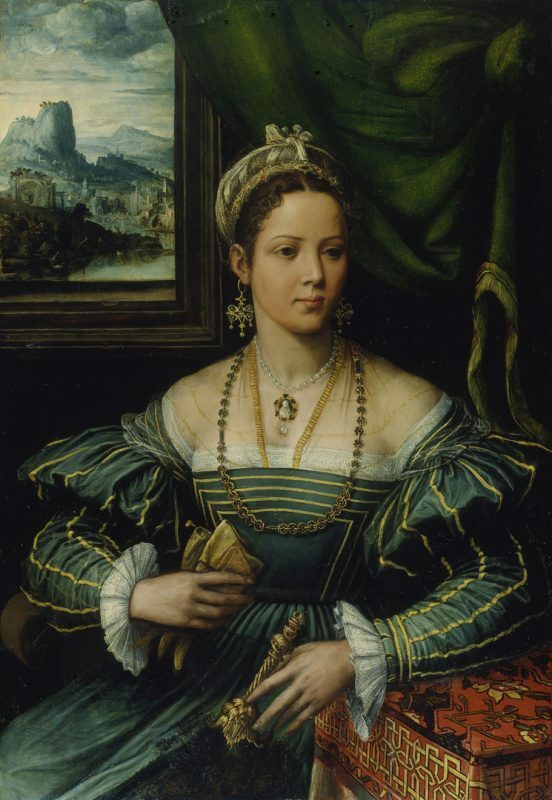 In addition, Bronzino, court painter of the Medici – or at least an artist from his workshop, this kind of distinction used to be fluent in those days – had also been listed as creator of the lady in green. I had found my story. Like a watchmaker I dissected the painting detail by detail, researching symbols and imagery in order to reassemble it within the framework of the novel. In the shape of a complex map leading Gemma and Sisley the way to the secrets of the past. Enhanced by a fictional background story rooted in historical facts and establishing a connection to Robert Browning and Elizabeth Barrett. Because sometimes a painting is the key to a secret. Good news for Romanian readers: Editura Rao has announced the upcoming publication of my next novel in Romanian. 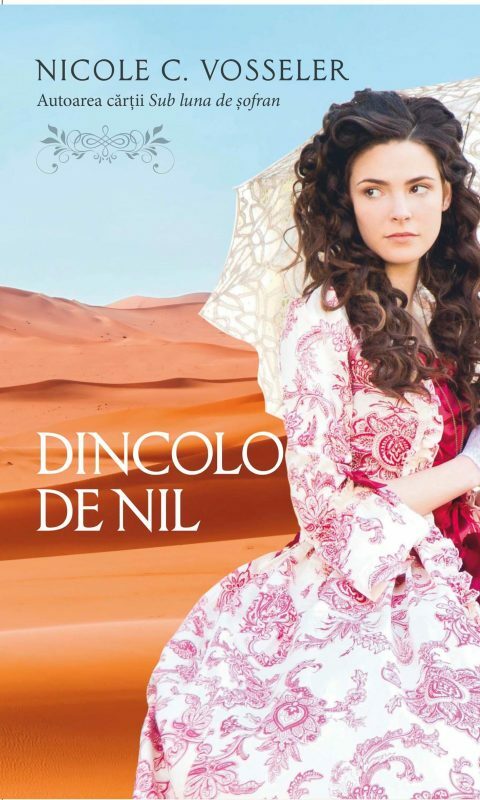 «Dincolo de Nil» should be available within the next few weeks. 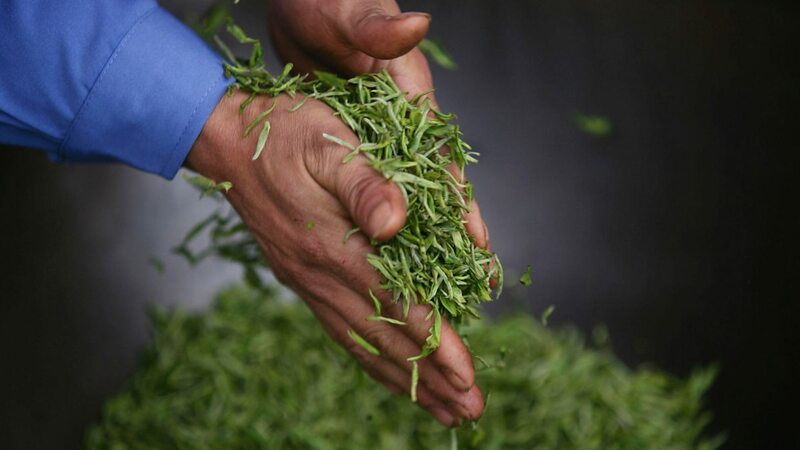 Roughly 170 years after Robert Fortune took up the tea’s trail in China, unlocked its secrets and established the tea of Darjeeling with smuggled seedlings, this story now takes the other way round. In Cornwall, an English gardener has managed to cultivate Camellia sinensis, and the manufactured tea is exported as far as … China.